As a travel blogger, there are so many things I need to consider when getting a new phone. I want something that is very easy to use, with a very good camera, good battery life and more. 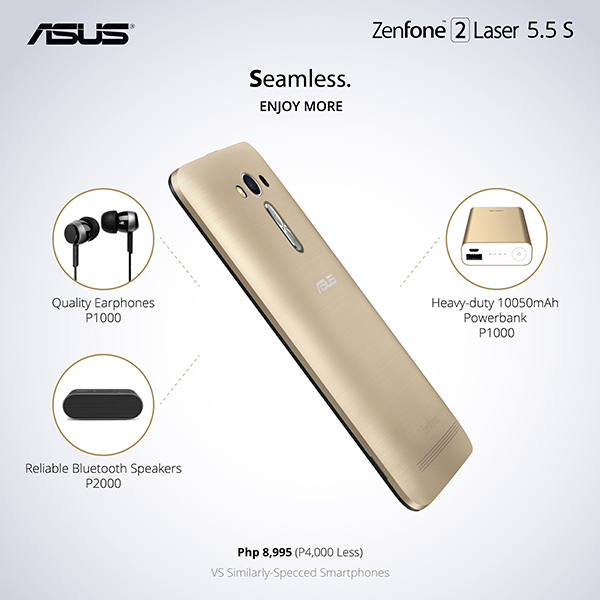 And I think I found them all and more with Asus ZenFone 2 Laser 5.5 S. I think this phone is just beyond compare! 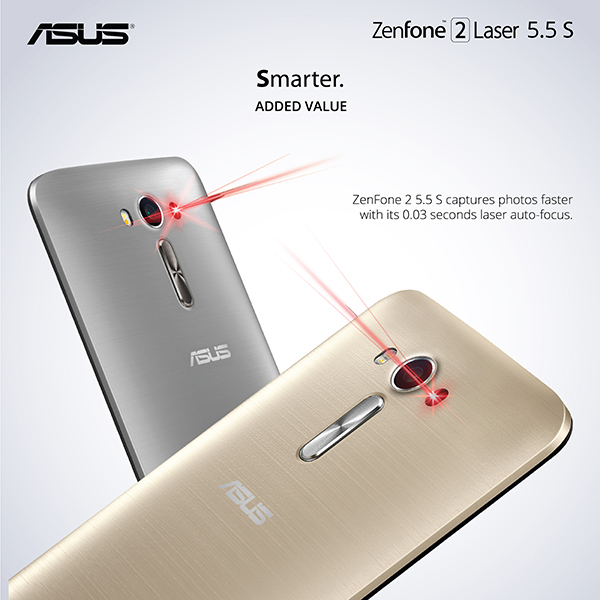 Zenfone 2 Laser 5.5 S features 0.03 seconds laser auto focus that lets you capture photos even faster and with improved clarity. Its laser beam is capable of capturing images at lightning speed with its instant focus of 0.03 seconds. It is also capable of accelerating close up photography and compensates the extra distance due to the lens receding. It has a 13 MP rear camera and a 5 MP front camera ready to capture your best moments. enhance its capabilities. Here are some of the accessories you can pair with this phone. Zenflash – capture real-life photos with its 100x brighter LED flashlights. Lolliflash – enhance images to natural skin-tone enhancement with its dual LED light. ZenEar S – this diamond-cut earphone is precisely made from high-quality material to achieve balanced sound delivery. ZenEar – absorbs reflected sound and effectively provides bass depth. ZenPower – the first 10,050mAh Power bank the size of a credit card. Flip Cover – provides optimum protection without losing its sense of fashion. A major factor why I love this phone a lot is the price. With it’s specs and and ergonomic design, who would ever thinl that this stunning piece is less than 10K. With it’s price, another reason to love this phone is the internal storage you already have. You don’t need to buy extra SD cards for extra space. 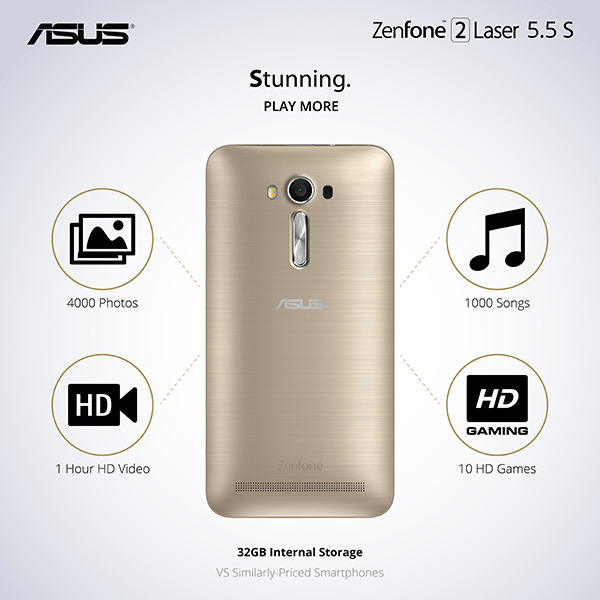 Asus Zenfone 2 Laser 5.5 S already come with a 32 GB internal storage space. That means you can play more songs, HD games, videos and take a lot of photos and videos with its 32GB storage. 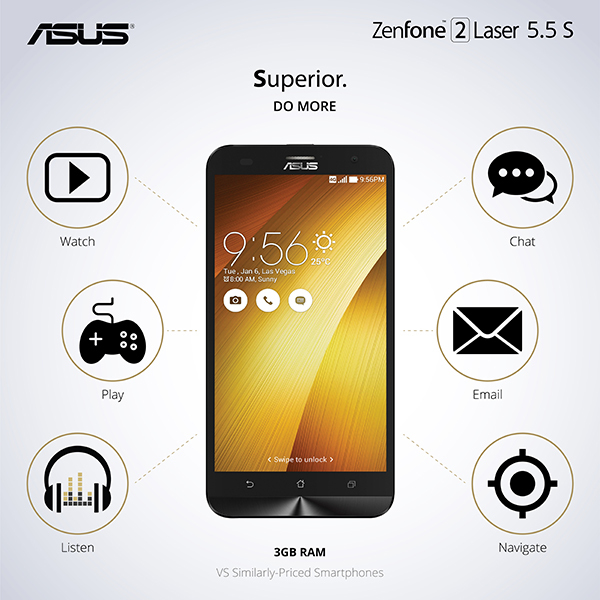 Do more with Asus Zenfone 2 Laser 5.5 S 3GB Memory. Watch videos, play games, listen to your favorite music, chat with friends, send emails and navigate all you want with this majestic smartphone. This phone has so many built-in features for people who are always on the go just like me. 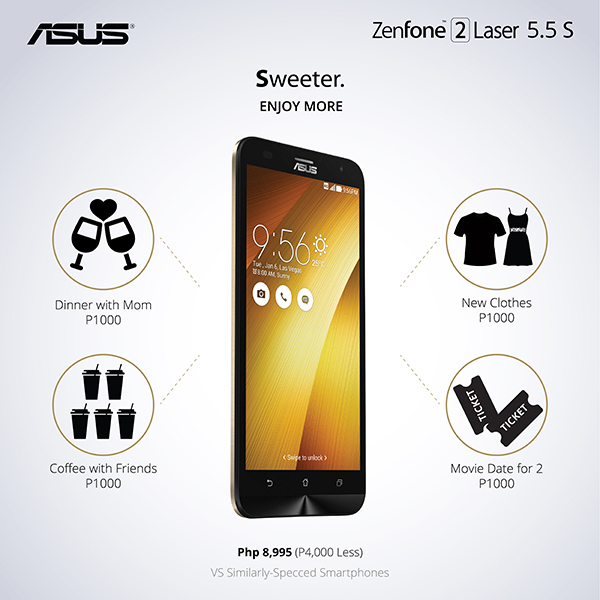 Just imagine, all this at an affordable price, you cannot go wrong with Asus Zenfone 2 Laser 5.5 S! Thank you for the detailed information about this famous device. All the best for you!